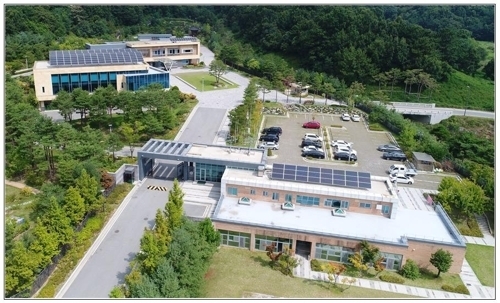 SEOUL, Aug. 6 (Yonhap) -- A solar power generation system has been installed at a prime minister's residence in the administrative city of Sejong in a move expected to save about 16 million won (US$14,235) in electricity costs annually, officials said Monday. The 150 million won facility, which was installed on the roofs of buildings at the residence, generates about 255.5 kilowatts of power for three hours a day on average and a total of 93,000 kilowatts annually, officials said. That could provide about 20 percent of all electricity needs at the residence, which translates into savings of about 16 million won in electricity bills a year, officials said. The government of President Moon Jae-in aims to increase the use of renewable energy to about 20 percent of total power consumption by 2030.